This classy bottle opener is made from a solid sheet of white-colored stainless-steel with a sturdy construction. Molded into the metal is a cut-out which acts as a strong bottle opener. The flat and slim design is the size of a credit card and can be easily carried in a wallet or purse where it is always close at hand. 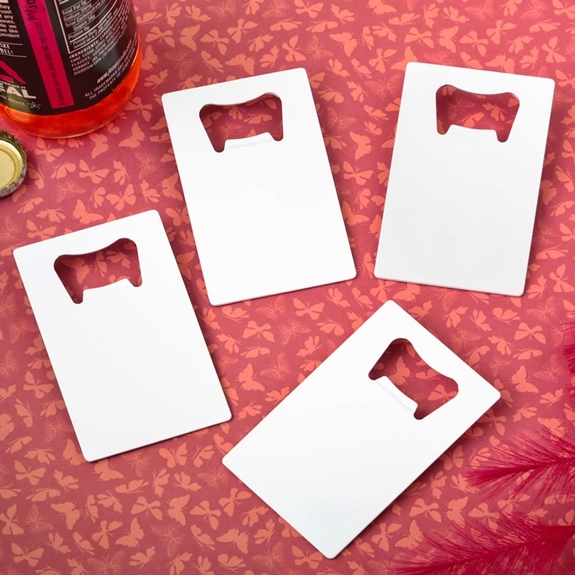 Offer your guests a fun and useful favor at your next beach party, birthday celebration or grand celebration. They will soon be popping those caps and settling down to enjoy your special occasion!